May 31, 2018 – Chicago, IL – InsightsNow, an agile behavioral research firm, has released a second wave of research on the free-from movement—consumer-driven demand for elimination of allergens and other ingredients from food and non-food products. The new research covers the intricacies and drivers of this clean label shopping behavior. 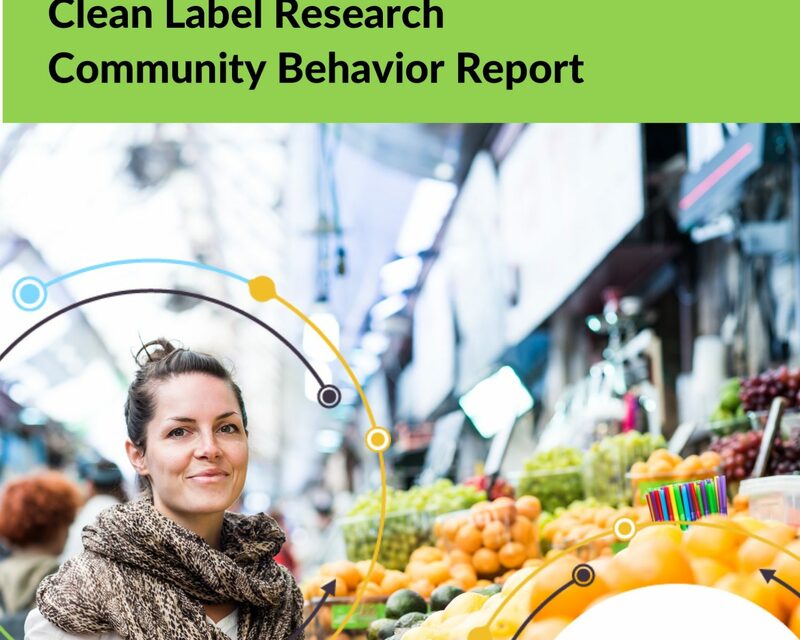 The "Clean Label Research Community Behavior Report" compiles data collected from the InsightsNow proprietary research community of Clean Label Enthusiasts (CLE) and utilizes a new CLE Scoring system. This subscription-based report is released quarterly, with the inaugural report released earlier this year. "The free-from movement continues to grow in scope and popularity among consumers who are becoming more and more health conscious," said Dave Lundahl, Founder and CEO of InsightsNow, and recent recipient of the NGMR award for "Industry Change Agent of the Year" based on the company’s work with Clean Label research. "Our study and scoring techniques will help brands navigate the new landscape of consumer demands for products that address not only allergies, but also considerations surrounding health, sustainability and farming practices, such as animal welfare." Clean Label Enthusiasts (CLE) are primary shoppers with a specific set of behaviors around the free-from movement that influence their buying decisions. For example, the data shows that the CLE group reads ingredient labels and will trade away great taste for a cleaner label with ingredients they trust. InsightsNow has developed a new behavioral scoring system to gain insight into which ingredients contribute to a perceived clean label. This Clean Label Score, using a 100 point rating, is based on implicit behavioral science techniques to gauge avoidance or acceptance reactions to ingredients. Calling an ingredient "natural" or "organic" dramatically increases its Clean Label Score. For example, "natural" received an average 85.94 score across all examined food categories (on a 100 point scale). Some "banned" or "black-listed" ingredients from certain retail stores (e.g. citric acid) were scored as clean by 50% or more of CLE. Sweeteners were scored in the study, with honey being perceived by the community as the most clean with a score of 85.07, and corn syrup as the least clean with a score of 20.61. "Results of this latest wave of the CLE study suggest that the free-from movement is growing far beyond food ingredient concerns," added Lundahl. "Concerns are growing into how non-food products contribute to unhealthy chemicals being ingested, absorbed through the skin or breathed in from the environment. These consumers expect manufacturers to take responsibility for the health and safety of the product sold through retailers." To gain access to the subscription-based report or learn more about the Clean Label Scoring system, reach out to InsightsNow. Next PostNext Getting innovative at IIeX North America!